Schema Therapy Society - WHAT IS THE ISST? Founded in 2008, the International Society of Schema Therapy (ISST) is the member organization committed to the principles and practice of schema therapy. Bringing together clinicians, researchers, educators, and supporters from throughout the world, ISST provides standards of excellence for the practice of schema therapy, including trainings, workshops, research, and certifications. 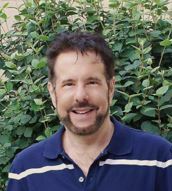 Jeffrey Young, Ph.D. began developing schema therapy in the mid-80s in an effort to help patients with chronic characterological problems that were not being adequately helped with traditional cognitive-behavioral therapy. Techniques and concepts from a broad range of psychotherapeutic approaches were integrated into a unifying framework with the aim of synergistically combining the strengths of each. Dr. Young established the first Schema Therapy Institute in the mid-1990s in Manhattan. Adopted by many clinicians in the United States, Europe, and Asia, the therapy came to the attention of researchers in the Netherlands who were developing a large-scale study of treatments for Borderline Personality Disorder. The clearly articulated approach of Schema Therapy lent itself well to a controlled outcome study. The results of this study showed, for the first time, that a high percentage of patients with Borderline Personality Disorder can achieve full recovery across the complete range of symptoms and provided strong empirical support for schema therapy. Schema therapy was found to be twice as effective as a widely-practiced psychodynamic approach, Transference Focused Psychotherapy (TFP). Schema Therapy was also found to be less costly and to have a much lower drop out rate. Borderline Personality Disorder (BPD) has until recent years been considered untreatable, with little scientific justification for longer-term therapy. These findings have stimulated several lines of on-going research into both the theory and technique of schema therapy, spurred the development of numerous training programs for certification in schema therapy and led to an increase in interest in schema therapy among clinicians and patients throughout the world.